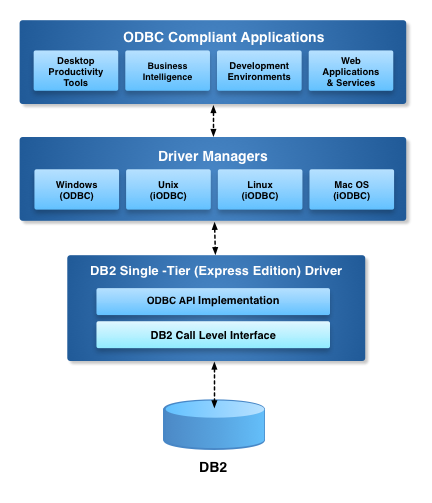 Our ODBC Driver for DB2 (Express Edition) is a single component installed on a data-consuming machine; depending on the architecture in which the driver is deployed, this might be a desktop Workstation or an Application Server. No further components need be installed on the deployment machine or database server. This is a Type-B driver enabling seamless out-of-the-box connectivity to your database, eliminating the need for the installation of any database-specific client networking software. This driver simplifies the configuration requirements at every level, maximizing your data access capabilities while minimizing the need for knowledge of the DB2 instance specifics. In addition, this driver has been specifically designed for Apple''s Mac Universal platform and implements try-and-buy functionality, greatly simplifying evaluation and enabling a smooth upgrade to a full license, at a low entry-level price. Simply enter the promotion code "ExpressPromo" at purchase time and the discount is yours. This HTML5 document contains 208 embedded RDF statements represented using HTML+Microdata notation. 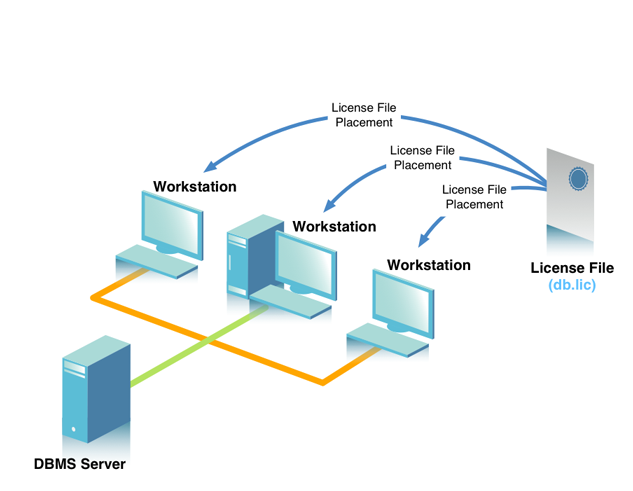 The OpenLink Single-Tier ODBC Driver for DB2 (Express Edition) is a single component installed on a data-consuming machine; depending on the architecture in which the driver is deployed, this might be a desktop Workstation or an Application Server. No further components need be installed on the deployment machine or database server. The OpenLink ODBC Driver for DB2 (Express Edition) is a Type-B driver enabling seamless out-of-the-box connectivity to your database, eliminating the need for the installation of any database-specific client networking software. This driver simplifies the configuration requirements at every level, maximizing your data access capabilities while minimizing the need for knowledge of the DB2 instance specifics. The OpenLink ODBC Driver for DB2 (Express Edition) has been specifically designed for Apple's Mac Universal platform and implements try-and-buy functionality, greatly simplifying evaluation and enabling a smooth upgrade to a full license, at a low entry-level price. Simply enter the promotion code "ExpressPromo" at purchase time and the discount is yours. DB2, ODBC, ODBC Driver, JDBC, JDBC Driver, ADO.NET, ADO.NET Provider, OLE-DB, OLE-DB Provider, UDA, Data Access, Data Access Driver, Data Access Middleware, DB2 ODBC Driver, Windows ODBC Driver,Unix ODBC Driver, Linux ODBC Driver, Solaris ODBC Driver, AIX ODBC Driver, Mac OS X ODBC Driver, DB2 JDBC Driver, DB2 ADO.NET Provider, Single-Tier, Express. This HTML document contains 208 embedded RDF statements represented using (X)HTML+RDFa notation. n2:this schema:description The OpenLink Single-Tier ODBC Driver for DB2 (Express Edition) is a single component installed on a data-consuming machine; depending on the architecture in which the driver is deployed, this might be a desktop Workstation or an Application Server. No further components need be installed on the deployment machine or database server. 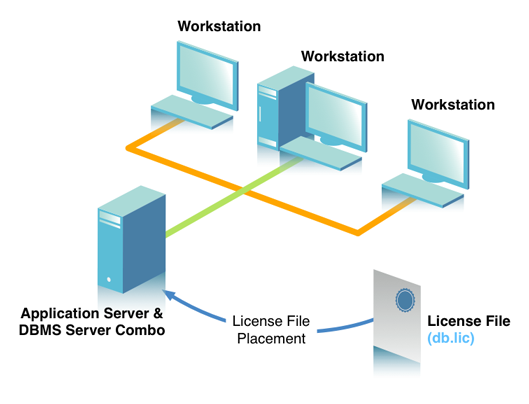 The OpenLink ODBC Driver for DB2 (Express Edition) is a Type-B driver enabling seamless out-of-the-box connectivity to your database, eliminating the need for the installation of any database-specific client networking software. This driver simplifies the configuration requirements at every level, maximizing your data access capabilities while minimizing the need for knowledge of the DB2 instance specifics. The OpenLink ODBC Driver for DB2 (Express Edition) has been specifically designed for Apple's Mac Universal platform and implements try-and-buy functionality, greatly simplifying evaluation and enabling a smooth upgrade to a full license, at a low entry-level price. Simply enter the promotion code "ExpressPromo" at purchase time and the discount is yours. n2:this schema:keywords DB2, ODBC, ODBC Driver, JDBC, JDBC Driver, ADO.NET, ADO.NET Provider, OLE-DB, OLE-DB Provider, UDA, Data Access, Data Access Driver, Data Access Middleware, DB2 ODBC Driver, Windows ODBC Driver,Unix ODBC Driver, Linux ODBC Driver, Solaris ODBC Driver, AIX ODBC Driver, Mac OS X ODBC Driver, DB2 JDBC Driver, DB2 ADO.NET Provider, Single-Tier, Express.